I’m glad to announce our new theme, its name is “Anime Heaven“. A new thing is three columns, content area and two sidebars. Hope you enjoy this theme as well as all our themes. 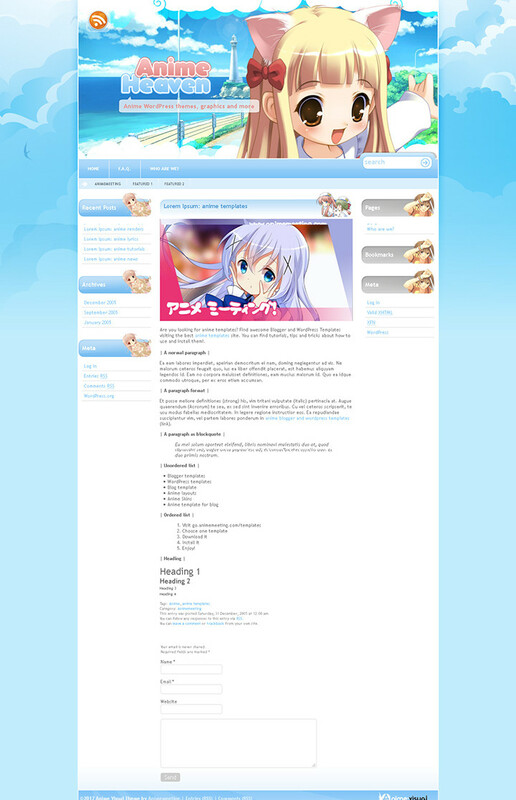 Using an FTP client upload “animeheaven” folder to /wp-content/themes/ directory. Login to WordPress, select Design -> Themes. Then click on the Anime Visual, choose Activate.